Polaris RZR 900S/RZR900 Trail/1000s/1000 All Years Radiator Relocation Kit $240.00 FREE SHIPPING! Wild Boar ATV Parts Polaris RZR 570/800 08-15 Xtreme Duty Front Bumper w/LED’S – FREE SHIPPING! Wild Boar ATV Parts Polaris RZR 570/800 08-15 Xtreme Duty Front Bumper w/LED’S $290.00 FREE SHIPPING! Wild Boar ATV Parts Xtreme Duty Front Bumper For The Polaris RZR 570/800/800s 08-15 $240.00 FREE SHIPPING!! RZR Radiator Relocation Kit $220.00 With Free Shipping! Wild Boar Polaris RZR Radiator Relocation Kit $179.00 With Free Shipping! 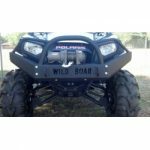 Wild Boar Polaris RZR 900/1000 Front Bumper With Lights $335.00 With Free Shipping!